We had the chance to visit the Oregon Historical Society in Portland last month. Though we spent the most time wandering through the permanent exhibit, we also happened upon a smaller photography exhibit that I enjoyed. 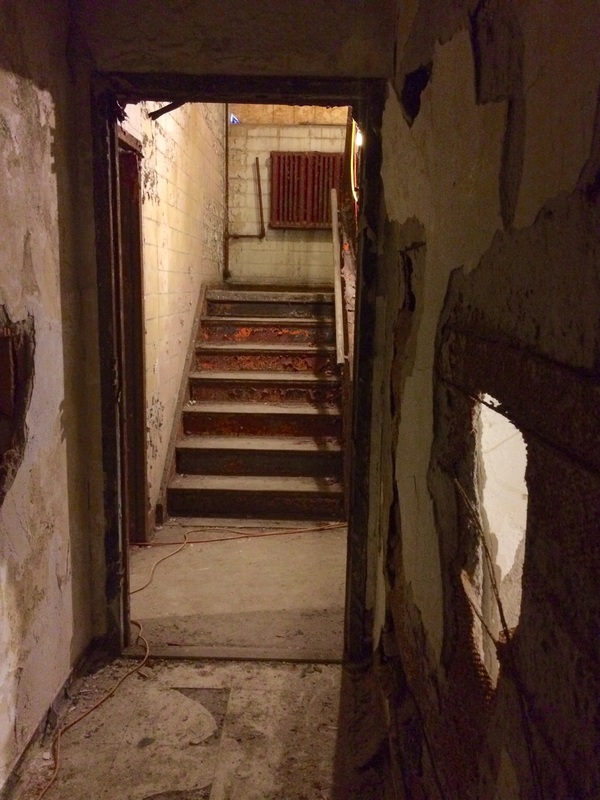 It was located downstairs in a hallway space, so it felt like a great discovery when we started walking through it. 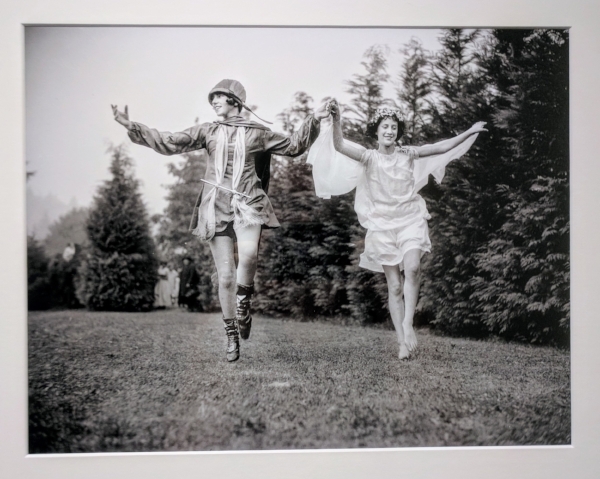 The exhibit, Mirror on the Modern Woman: Selected Images from the Oregon Journal, 1927–1932, features portraits of modern female Oregonians, engaging in a variety of activities from a fairly broad cross-section of local society. What made these images even more engaging was the text that accompanied each - the story of these women, the headline or blurb that would have been published in the newspaper. This descriptive information helped to tell deeper stories behind the beautiful portraits, and it provided an important link back to the original source The Oregon Journal. It’s wonderful to see work like this being highlighted, to increase awareness about these types of collections and to increase access through physical exhibitions. "These unidentified dancers were probably performing in a May Day celebration in Portland, Oregon. May Day festivities were common during this era, with celebrations put on by towns, businesses, organizations, and schools." "When the Portland YWCA opened registration for spring sports classes in April 1927, Lillian Blackman and Sophia Wehrly posed for a photograph with field hockey equipment. Field hockey "is not very well known generally," the Journal reported, noting that the YWCA would supply the equipment for the hockey class. "It is a sport which provides vigorous exercise." Blackman and Wehrly are on the roof of what is likely the YWCA building at SW Taylor and Broadway. Visible in the background is the Jackson Tower, where the Oregon Journal offices were located from 1912 to 1948. The YWCA building was demolished in 1959." "Mrs. D.W. Barnes of Portland celebrated her 90th birthday on June 27, 1928 by taking her first ride in an airplane. Her son E.L. Barnes (possibly the man on the left) accompanied her in a Ryan monoplane flown by pilot Gordon Mounce (possibly the man in the background). More than two dozen family members and friends turned out to watch. Mrs. Barnes was an avid follower of aviation news, the Journal reported in a brief article, and had been planning the flight for quite a while. At the end of it, she "landed breathless and pleased," the Journal reported." "An unidentified performer with the Al G. Barnes Circus demonstrates her skills on horseback during one of the circus's stops in Portland. 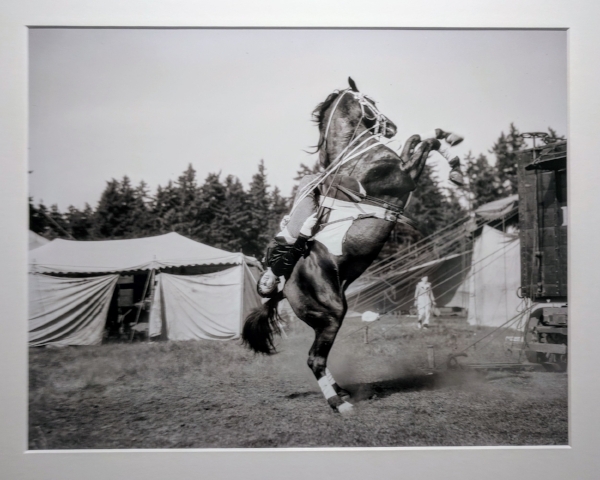 The Barnes circus performed regularly in Portland and throughout the Pacific Northwest." "Stunt pilot Dorothy Hester was probably around age nineteen when she posed next to a plan for this photograph. Hester, from Milwaukie, Oregon, learned to fly at the Rankin School of Flying in Portland. She impressed Tex Rankin, and he taught her aerobatics. In June 1930, at age nineteen, she became the first woman to perform a stunt called an outside loop. Hester wowed audiences both in Oregon and at air shows around the nation, set world records for stunt flying, and opened her own flight school. She left her career in aviation after marrying in 1934." I had the opportunity to go to my first professional conference this spring. The 45th annual American Institute for Conservation of Historic and Artistic Works held its meeting in Chicago this year, so I lucked out and was able to go. I’d taken two courses in preventive conservation from George Washington University in the previous 9 months, so I was excited to see many of the principles we learned about put into practice by professional conservators. Additionally, with our assessment of the institutional film archives at the Art Institute, and our ongoing relationship in providing imaging for our conservation department, I knew I’d gain some knowledge I could put to use at work. The sessions I went to certainly did not disappoint. There were a variety of tracts attendees could pick depending on their field of speciality, but I decided to pick and choose between a variety of disciplines: electronic media, photographic materials, sustainability, research and technical studies, and beyond treatment. Presentations in these sub-groups ranged from on-the-ground efforts to reduce waste in conservation labs to creative rehousing with limited resources to failure in high-profile projects. The theme of the conference was Innovation in Conservation and Collection Care, and I was pleased that the presentations didn’t revolve exclusively around technology, since innovation and tech are often conflated. Of course, given the fact that I’m in a technology-dependent field within the museum world, I did attend a number of sessions which dealt directly with the intersection of conservation and tech. A number of presentations directly and indirectly addressed the important role photography plays in conservation. The treatment of the WWII bomber Flak Bait was a prime example of this: experimental techniques to retain the surface of the wing while rebuilding the structure meant pre-treatment photographs were vital for achieving the correct final color and finish to the treatment. There were several other discussions about the evolving use of new and experimental uses of imaging. A trunk full of locked letters have led a team of researchers to investigate using CT scans to capture the contents of the interior without unfolding them. It is hoped that these images can then be digitally unfolded so they can be transcribed and read. There is also emerging technology in the way images are accessed and displayed. A platform is being created wherein images can be automatically associated with one another. This means that different captures (including drawings, print reproductions, technical imaging, etc) can be seamlessly layered to tell a more full story of an object over time. It also means that stitching can occur by means of one reference image with individual tiles automatically aligning. 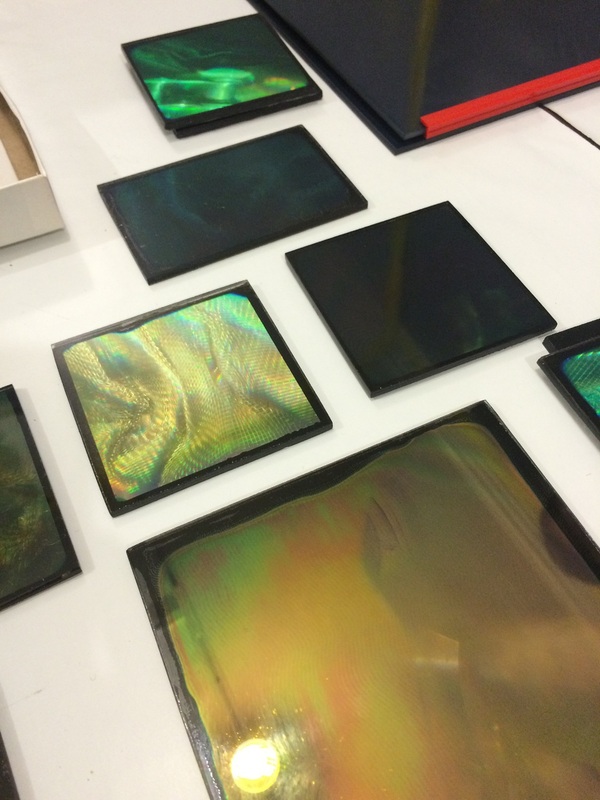 These possibilities are exciting for the world of cultural heritage imaging. I was also really interested in the sessions I went to which touched on digital preservation. There is a growing awareness of the importance of assuring the longevity of all our digital stuff, especially given the volume of these materials and the often invisible nature of degradation. There were presentations on the challenges of migration and emulation, and the realities of facing a loss of data as a result of obsolete file types, platforms, and hardware. It was eye-opening learning about how much of this work is trial-and-error. I think one of my biggest takeaways from this conference was the idea of growth from “failure.” I’d hesitate to even call some of the issues and challenges addressed “failures,” especially since presenters learned much from roadblocks. One such experience included a multi-million dollar, cross-governmental project spanning many years in which varnish removal revealed unexpected and large expanses of more modern in-painting, which then had to be addressed in a new treatment proposal and project. Another included a piece of digitization equipment used by only a handful of individuals with no manual, and expectations that this equipment would open doors for collections accessibility and community needs, all with minimal manpower. It was refreshing seeing how these professionals faced up to difficulties, both anticipated and unanticipated, and were able to speak to how they moved past barriers. Fortunately for us, they shared their experiences so we could learn from them. Additionally, there were some heartening presentations on what individuals and organizations can do with extremely limited resources. One presenter talked about her national agency which handles the conservation needs of dozens of museums and institutions throughout the country. They face the reality of a varied climate, a lack of funding, and a multitude of projects which need addressing. She talked about getting creative while being realistic, and how important reusing and recycling materials, repurposing tools, and hand-making housing for collections items are. Prioritization is key with the work that they do, so they must think in terms of triage. I think this is the case for many, (perhaps the majority) of museums, archives, and libraries - it’s unlikely there’s dedicated conservators for their collections, and when there are it’s still a challenge to keep up with the workload. As such, it’s good to prioritize preventive conservation efforts, which can go a long way towards minimizing future interventive treatments. I feel fortunate to have gone to this conference. I learned a lot, I had the chance to see old colleagues and my GWU professor, and I felt a renewed sense of excitement about working in museums. It’s easy to get bogged down by the less enjoyable aspects of work, so this was an excellent chance to step back and see things in greater context. A coworker invited me to a tour of the exhibit Helio Oiticica: To Organize Delirium, led by the nephew of Oiticica. At the time, I’d not yet had a chance to fully explore the exhibit, but I was nice to check it out while gaining his insights about the work. It made me want to dive in on my own time that much more. One point raised throughout our walk through the exhibit was the idea of intent vs. display. His art was and is meant to be experienced, so the traditional idea of a museum object being off-limits doesn’t sit well. There are pieces that visitors can enjoy as they were intended, walking through sand and pools of water, but even here there are limitations. And there are some works that the museum has chosen to display without interaction, motion sensors in place and pedestals and white lines employed to discourage touching. We have been exploring the topic of artist intent in contemporary art in class, with more work in nontraditional media that aren’t archival. One important aspect of this is the emergence of comprehensive artist documentation and interviews, where possible, and when the artists will allow it. In this case, it is clear that Oiticica has created comprehensive guidelines for the work, but these wishes aren’t always reflected in the presentation of his work. As we looked at one of his 3D paintings, the idea of preservation and access came up, and I think this is a perfect example of it. It’s a hard balance to strike when museums are in the business of acting as collections stewards and artwork is interactive. It is clear that there needs to be good communication and a spirit of collaboration when working on exhibits like this one, to assure the museum is presenting the work as faithfully as possible, and that surviving family, friends, contemporaries or representatives have agency when decisions are made. Pieces like this one were meant to have participants walk through them, but this is not allowed in the museum setting. Protest flag now encased and hanging on a wall. Spaces that allowed for interaction. Playing a game of pool by the parrots. The second project I worked on last month was a cataloging kickoff at the National Public Housing Museum. The institution has new staff onboard, and there has been forward momentum building up in the collections program. PastPerfect was selected as the museum’s collections management system, so we started this project by getting to know the software. I used PastPerfect while I was a photography intern at the Jewish Museum of Maryland back in college. Needless to say, the years that have passed have made me a bit rusty, so it was good to spend some time reacquainting myself with the program. We reviewed the company’s comprehensive documentation and walked through cataloging some of the 3D materials from the collection. This helped us to determine what fields would be most useful, and how we could narrow the parameters of data entry to assure consistency. Next steps include writing up guidelines and how-to guides, and onboarding interns. Much more work is yet to be done, including developing finding aid procedures as much of their collections are archival. It is satisfying to move forward and make progress, and I’m looking forward to being a part of this ongoing work. Rehousing some 3D materials in acid-free tissue: an upgrade from zippered plastic bags. Last month featured two side projects which allowed me to work hands-on with collections materials. I really enjoy these opportunities, and while my schedule has been busy, I hope to have more chances to do this kind of work in the future. It’s helped to remind me why I love working in the cultural heritage field. A former colleague from Northwestern introduced me to a professor working on a collaborative project with the American Indian Center here in Chicago. The organization is in the process of moving to a new location, so the university is teaming up to help assure temporary safe storage and perform an inventory of their collections materials. There are plans to digitize materials as they are inventoried, as well. I visited campus to assess the materials, and to meet with the project lead to review the process. I had developed some initial workflow steps and a basic inventory form with data entry guidelines. Looking through the materials helped us to refine this documentation, and it was beneficial to walk through creating some dummy records for a few items. The goal is to set up a dedicated space for this work to happen, and to train both NU students and AIC community members so that the work can happen in teams. This will foster stronger bonds between both institutions, teaching those from NU about the AIC community, and assuring AIC ownership and consultation in the process. The hope is that the inventory can be developed into online portal to the collections, allowing public access. I hope to continue to provide guidance as needed with this project, and I’m excited to hear updates as the work progresses. In spite of its decades-long history and important role in bringing together communities shifting from reservation to urban life, AIC isn’t well-known to many Chicagoans. Hopefully this project can help in part to make this important organization more visible. In December, I finished up the first of four online classes I’m taking through George Washington University. The certificate program is focused on museum collections management and care, and I’ve learned so much already. Since the program is restricted to those already working or volunteering in the field, it has meant that I often learn as much from my classmates as I do through the class itself. Some amazing stories have been shared about experiences in collections, and there have been opportunities for us to pool our knowledge to help in times of need. The first class was focused on preventive conservation, including the primary agents of deterioration and the different material types commonly found in museums. With this knowledge, I was able to assess the National Public Housing Museum exhibit installed for the Chicago Architecture Biennial, and report on next steps for degrading institutional film archives at the Art Institute of Chicago. I’ve even seen my education at work while touring one of AIC’s recent exhibits - Moholy-Nagy: Future Present. As a multimedia and experimental artist, Moholy-Nagy embraced new materials, including plastics. The materiality of different formulas produced desirable effects for the artist; unfortunately, many of these developing synthetics also degrade quickly. There were conservation notes next to some of the pieces, explaining research that was done and components that had to be replaced over the years. 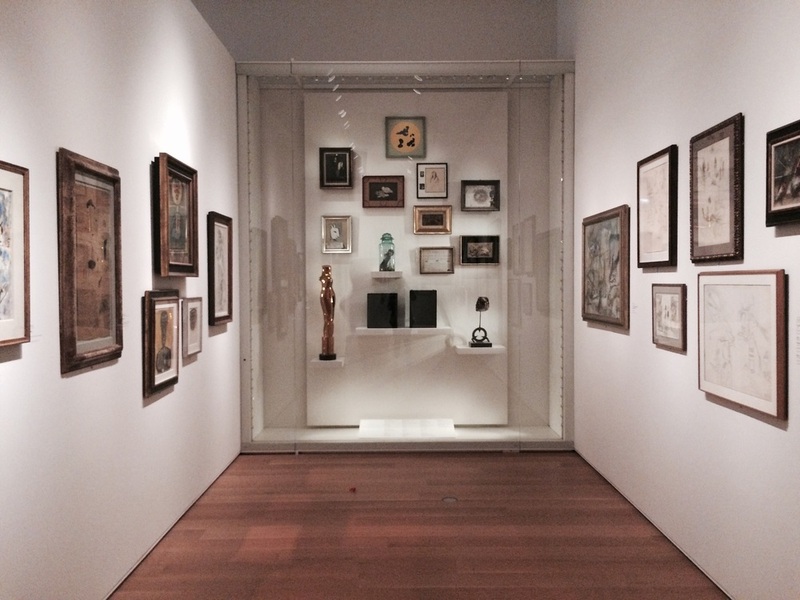 Many of the artworks that featured plastics also incorporated other material, including metal, paint, and wood, further complicating their care, storage, and display. Understanding some of the basic principles of conservation makes me appreciate the work that goes into exhibits like this one that much more, and it makes me excited to learn more about conservation and collections management. The exhibit for which I did a good deal of extensive Photoshop editing has opened at the Art Institute of Chicago. 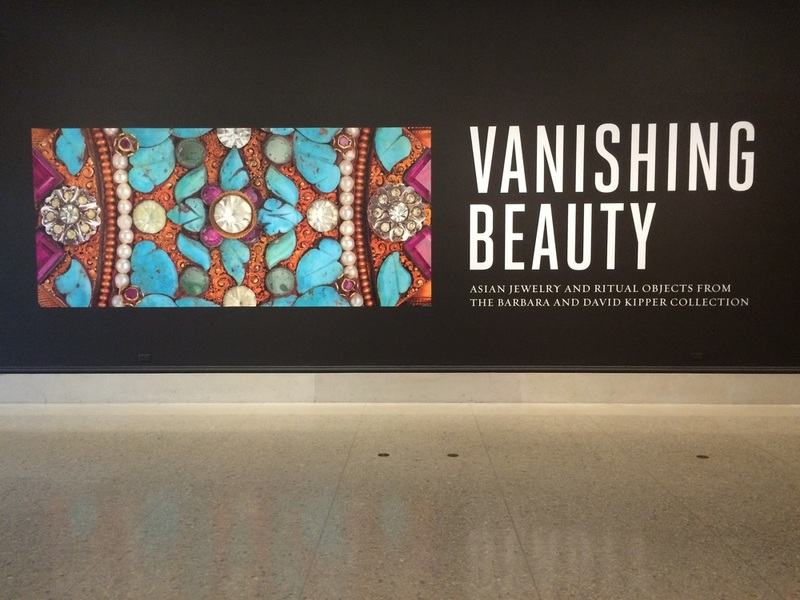 Entitled Vanishing Beauty, each room is dedicated to a different region and culture in Asia. The objects tell the story of the different societies’ traditions and craft. 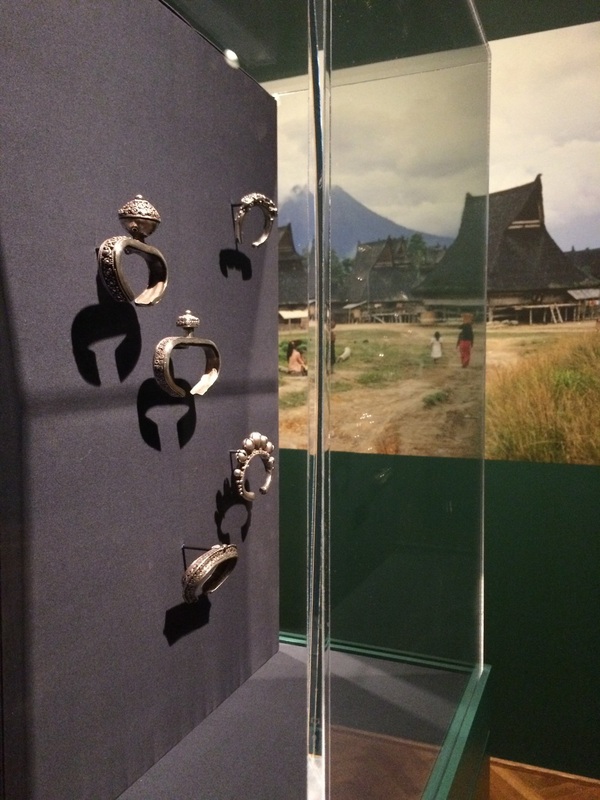 After having spent so much time staring at minute details of these pieces of jewelry and ritual objects, it is refreshing to see them in person, to understand their context. 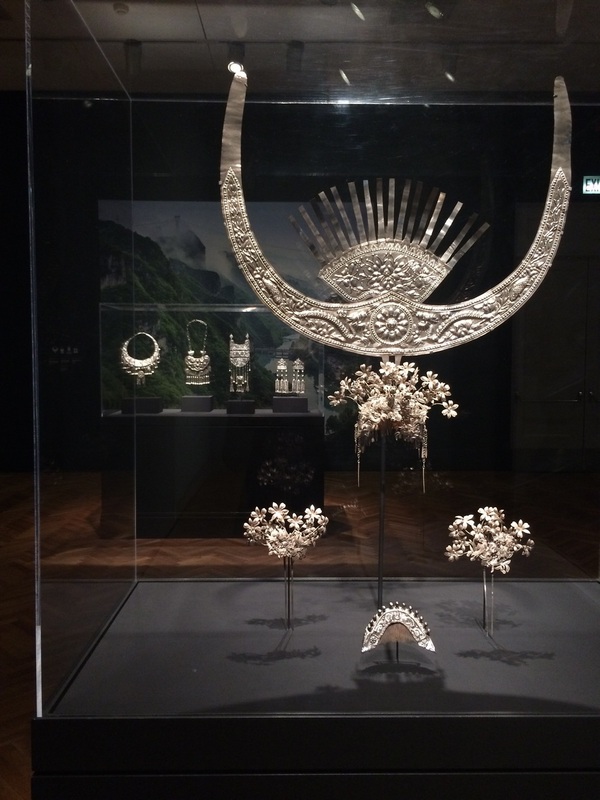 It is easy to become bogged down when focusing on the details, so I’m glad to be able to appreciate these objects for the culturally significant and beautiful pieces that they are. Images edited for the publication in the final reading room of the exhibit. There are some serious perks to working at as large and historic an institution as AIC. Working in a department that is granted access to much of the museum multiplies these perks considerably. 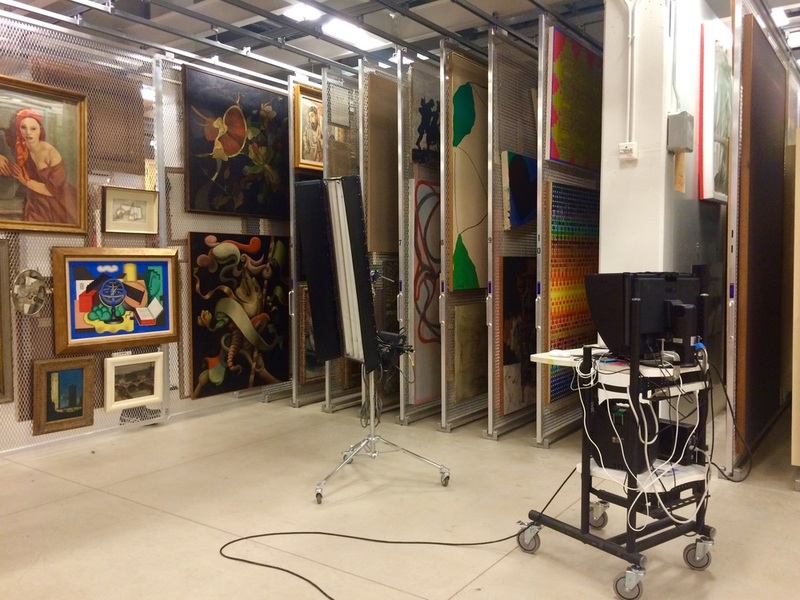 While training, I was taken into one of the modern and contemporary art storage rooms to color correct several digital files. I’ve spent some time in collections storage in previous positions and have toured many others, but I’ve not encountered anything like it. There is rack after rack filled with amazing oversized paintings. To be able to spend time, however brief it may be, up close to works I’ve admired seeing on the gallery walls is wonderful. I’ve also been able to walk through the museum before it was open to the public. 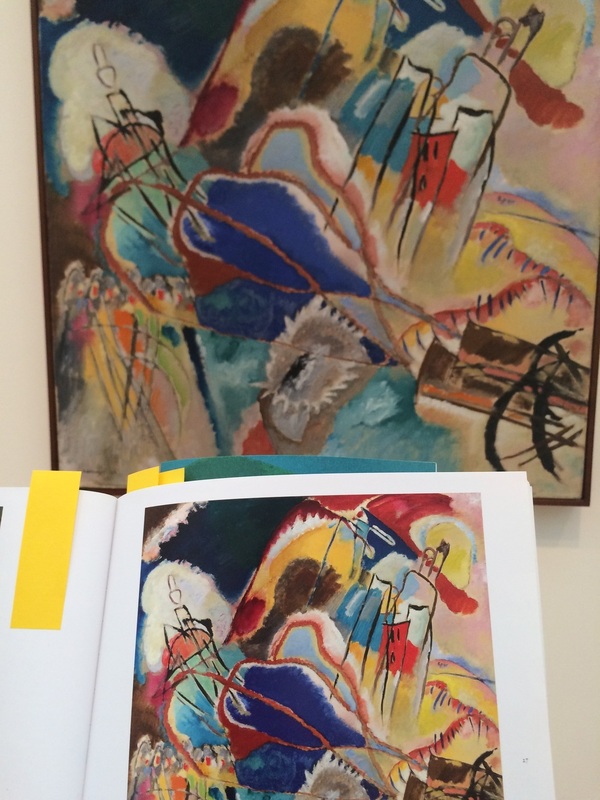 I needed to compare how some works were published in a catalog to the originals, and it was a treat to explore the galleries without anyone else around. It was so peaceful, and I found myself looking at works much more carefully than I’ve allowed myself to do in the past. I’m looking forward to more solo exploration in the future. The National Public Housing Museum organized a spring cleaning session in their offices earlier this season. A researcher using the collections and I teamed up to create an up-to-date inventory of the materials stored on-site. She has been combing through visual materials to write a dissertation on how the CHA sites were portrayed, and has been a huge help in identifying people and places depicted in photographs. From the filing cabinets and piles of materials, we attempted to break everything down into potential categories: library and reference material, archival material, collections material, and research material. We then evaluated potential collections to determine priority for conservation and/or digitization. I bundled the physical materials together by category, and photographed objects for the spreadsheet for reference. While there are still some objects stored off-site, this was a good opportunity to take stock of what will become the foundation of the museum’s collections and archives. It is helping to shape our discussions on creating a collections management policy. And it was also a wonderful opportunity for me to take a peek at some of the treasures NPHM has already accumulated and been gifted. I’ve moved from a contract position to a full-time position at the Art Institute of Chicago. This means I’m no longer working on singular projects, but I’m digitizing the film archives of collections and exhibitions documentation, editing files from the digital archives, and fulfilling internal and external image requests. It’s nice to transition to a new job when you’ve already been working in the department for half a year, but I still have much to learn. Having worked in the imaging department of three LAM institutions in Chicago, it’s been interesting to compare how each gets things done, and what priorities are. There are always strengths and weaknesses. I’m happy to be working with equipment that is fully up-to-date at AIC, and while there’s never enough man power in non-profits, it’s nice to be working with a team of nearly a dozen rather than two or three other professionals. This is an image of the department’s Imacon drum scanner. I’ve never had the chance to use one of these types of scanners before, and the quality of the files it creates certainly is impressive. The National Public Housing Museum recently organized Telling Stories Telling Belongings, an event that has successfully brought the community together for several years. This time around, they partnered with the Jane Addams Hull-House Museum, and it took place in the newly refurbished Jane Addams Resource Center in ABLA. The focus was on the near west side of the city. In spite of the dreary spring weather, more than 70 people were in attendance, and many came with objects and stories to share. The event was split between individual presentations by volunteers wanting to tell their stories and group story-telling sessions. It was a great way to bring people together, and I was heartened to see several people exchanging contact information at the end of the event. One of my favorite objects and accompanying stories was one that Tammy brought to share. She was excited when she approached the table where representatives from the Hull-House Museum were having volunteers sign paperwork, and where I was photographing objects. From a ziploc bag, she pulled out her original birth certificate and a few black and white family photos. It turns out she was born in the Jane Addams Homes, formerly on Cabrini Street, as part of a midwife program being tried out in the 1950s. She explained how her mother much preferred this option to making regular treks to the hospital to see her doctor. She was able to stay home and rest, and received excellent care from a visiting professional. We were all equally excited about her story, and she was incredibly engaging when talking about this connection to public housing and her experience there to the audience. Another wonderful story came from Ms. Ida. She brought in a painting her son Jeffries created when he was 7 years-old, she entitled “1383: a Front Yard.” The painting depicted a large tree surrounded by beautiful flowers, bees, and butterflies, and a smiling sun watching over the scene. She explained that her son injured himself, and they sought housing in one of the low-rise CHA buildings since the elevator in their high-rise was frequently broken. Once they settled into their new home, her son was adamant that they plant a huge garden in their collective front yard. His injuries prevented this from happening, so instead he created his wonderful painting. I am so happy I was able to attend this event, and better yet, was afforded the opportunity to help document it. Seeing such a diverse crowd representing so many decades of history in the area coming together was really amazing. Please head on over to the National Public Housing Museum’s blog to read more about the event. I’ve been working at the Art Institute of Chicago in the Imaging Department as a Post-Production Technician for the last few months, on a temporary basis. The project I’ve been focused on is retouching photographs for an upcoming publication, released in conjunction with an exhibition: Journeys from Xanadu: Asian Jewelry and Ritual Objects from the Barbara and David Kipper Collection. A new approach for the department is being undertaken with these images, in which the object is masked from the background. A new, standardized background with set RGB values is created, as are new, uniform shadows. The goal with this post-production work is to create as cohesive a visual effect as possible in the images. For some objects, this was a fairly straight-forward process. 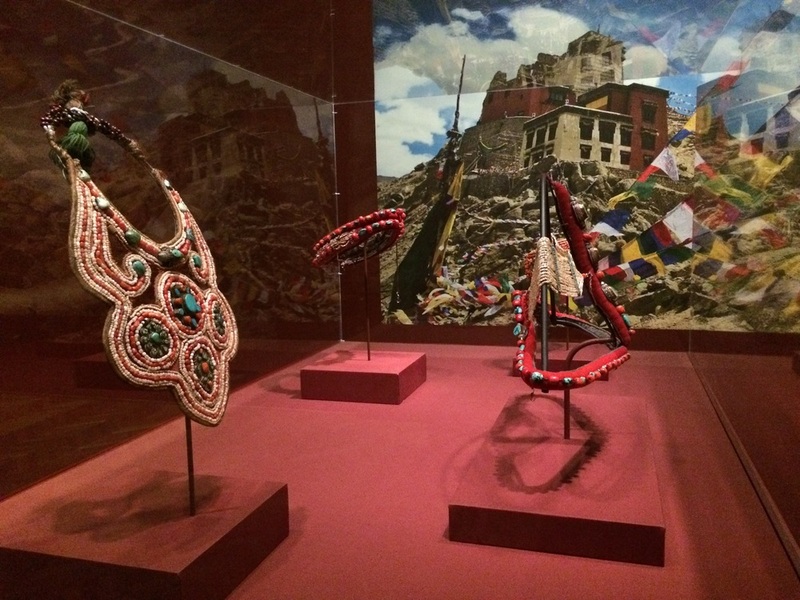 But many items in this collection had intricate beadwork, fabric, and metalwork, which made the masking process a challenge. The catalog will be released and the exhibit opens in June, and I’m excited to see the final products of this work. National Public Housing Museum - After the Plan: What Happened to Public Housing Families? 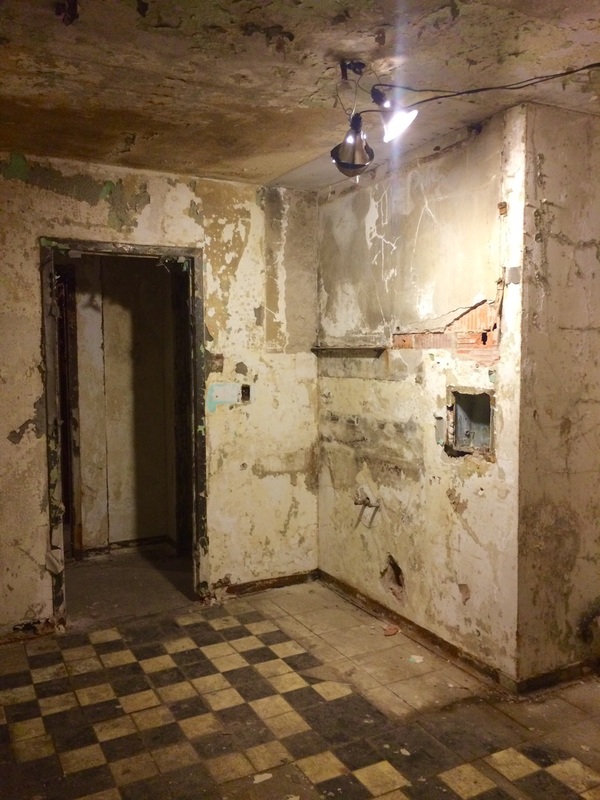 While the National Public Housing Museum doesn’t yet have facilities open to the public, they’ve continued to provide excellent programming for the community. 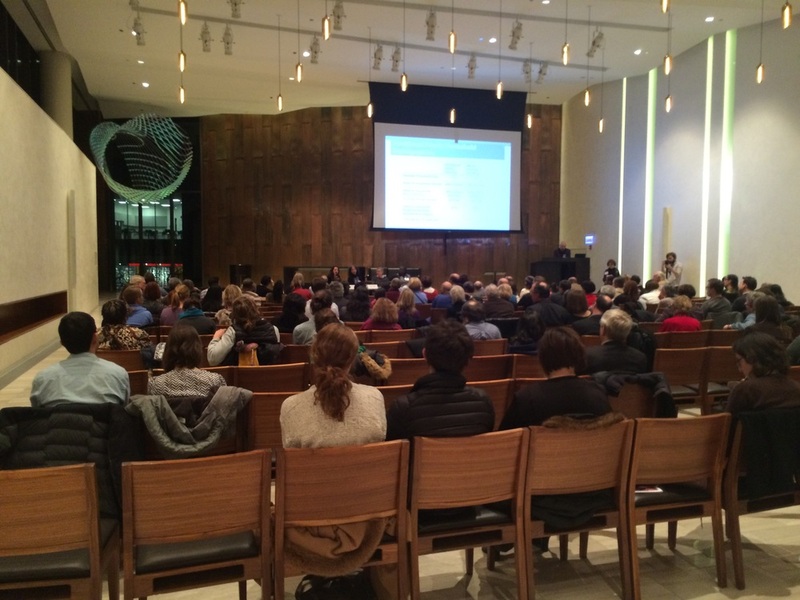 They organized a panel discussion about Chicago Housing Authority’s Plan for Transformation. After the Plan featured academics Mary Pattillo and Amy Khare, as well as CHA Assistant Director of Resident Engagement (and NPHM board member) Crystal Palmer, and Housing Choice Partners Executive Director Chris Klepper. The panelists discussed the fate of public housing residents after the demolition of so many housing units, each from their unique point of view. I appreciated the fact that given the diverse background of the individuals speaking, both the positive and negative outcomes of CHA resident relocation were addressed. The improvements in existing public housing units were discussed, including health and safety measures and access to resident services. The benefits of moving, the “opportunity area” effect, of improved physical and mental health, higher income, better grades for children, and higher college enrollment for teenagers were also addressed. While residents forced to moved may have faced discrimination in a new community and a difficult housing market, some believe the benefits outweigh or at least counterbalance the downsides of remaining in traditional public housing buildings. The more critical view of the Plan for Transformation took into account the recession, and how outside circumstances led, in part, to a failure to create housing at the rate the CHA demolished units. This has led to a shift in newly vacant land being set aside for housing to any development, including commercial spaces. The question many ask as a result of these priority shifts, is does the Plan actually benefit CHA residents in alleviating high-density poverty, or is it simply shifting the land back to the affluent? As mixed development developments have become the new “solution” to the traditional public housing “problem,” residents are often forced to handle the market economy on their own. And neighborhoods and communities with Section 8 housing, units CHA residents can rent with vouchers, often express a “more than our fair share” mentality about this housing. There is a continued fear of a concentration of the underprivileged and a stigma against those from public housing. The poor continue to be blamed for community problems even though crime is a symptom of economic inequalities. So much of the focus on public housing is the history of the high rise, and its perceived failure. 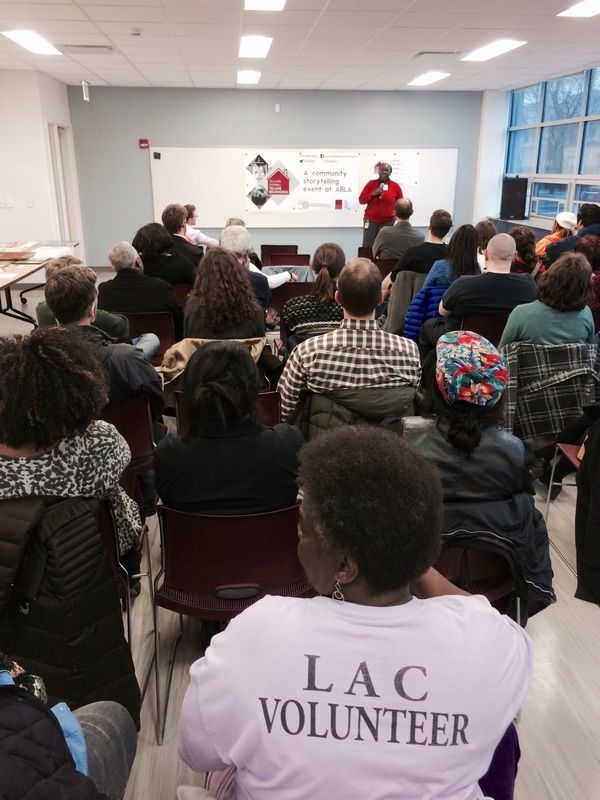 It is refreshing to hear about the work so many are doing to address what is happening now, what the future may hold for those pushed out of the high rises and other traditional public housing units. I left my position at Northwestern University Library in August, and one of my last jobs was the digitization of several John Cage scores. I attended an after-hours event at the Museum of Contemporary Art, and once again found myself face-to-face with Cage’s unconventional work. It was a fantastic surprise to stumble upon a project I had a small part in and watching others interact with and enjoy the exhibit. Preparing for the exhibition Collection, Building, Action at the National Public Housing Museum was a whirlwind experience. From the beginning plans and outline to installation, our small team had around two months to pull everything together. And given the fact that the space used to house the exhibit (and two others, as well) is a gutted former public housing site, there were some interesting limitations around which we had to work. I’m so happy I got to be a part of this project, and I can’t wait to see what’s in store for the museum in the future. If you’re in Chicago, take time to visit the Addams Homes to see all three exhibits (up through mid-November), and the rest of the Chicago Architecture Biennial. Entrance to all three exhibitions in the future museum site: Collection, Building, Action; House Housing; We Next Door. Collection, Building, Action - 3D collections items, a slideshow of images, and selected oral histories. 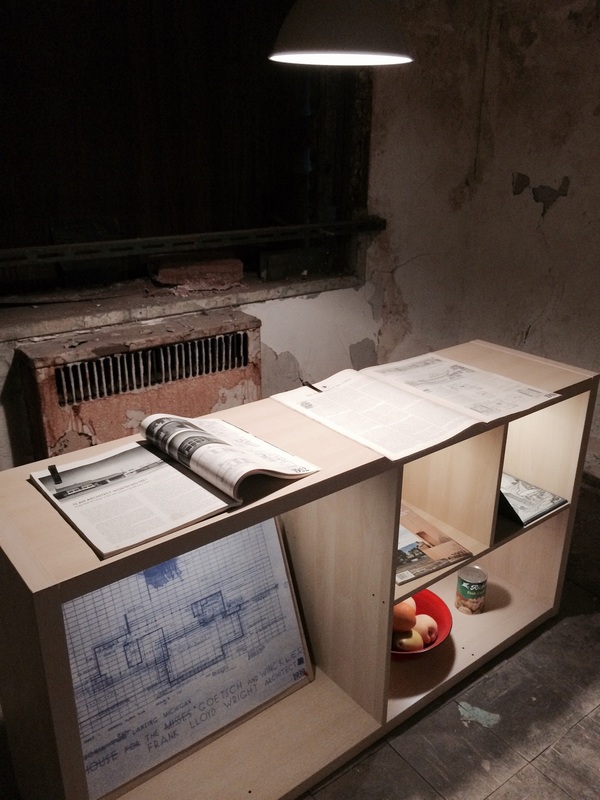 House Housing, curated by Columbia University. The museum's Youth Advisory Council curated We Next Door, a response to House Housing. I’ve been volunteering at the National Public Housing Museum, helping the team to assess what information management systems might work for their collections. While researching the options, I’ve also been working on a plan to help them to develop a collections management policy and some basic first steps before cataloging begins. I’m also assisting the curator on a temporary basis, helping to select images and objects for an upcoming exhibit at the future museum site. 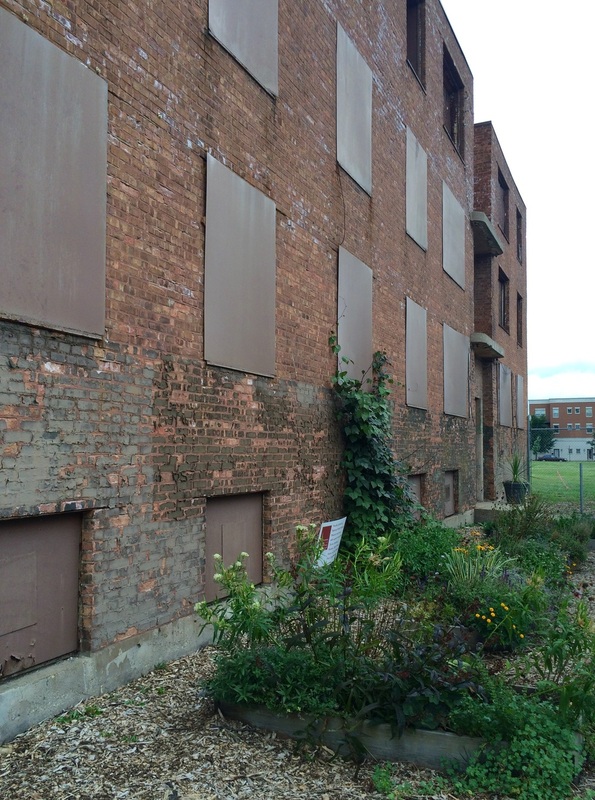 As a part of this process, I had my first tour of the building, the former Jane Addams Homes. I’d walked past the abandoned housing many times, always wondering who had lived there, what it had been like, and what would happen to the last remaining structure. Some of those questions will be answered, in part, in the exhibit, and will be answered more fully once the museum opens. I’m thrilled to be working on this project, both because of the access it will give me to the museum’s collections and this historic site, and because of the potential for this exhibit to raise awareness about the museum. It will open as part of the Chicago Architecture Biennial in October 2015. Interior of one of the Jane Addams Homes units. Most of the patron requests I handle at work involve little interaction between myself and the requestor. This streamlines my work, but it is nice to occasionally meet with patrons to learn about how they are using digitized versions of library collections material. There have been two orders over the last quarter where I did indeed get some insight about projects for which I’m responsible. The first is developing into an on-going collaboration between an international artist, the library, and the Block Museum. His request allowed me the opportunity to work with the Duckworth collection from our Africana special library. The second came from a professor who is working to create an online repository of classic literature dating to Shakespeare’s time for academic research and discovery. Working with original collections material is what’s drawn me to this field, but it’s that much more rewarding when I can learn how others are using our work. Crops from a few of the Duckwoth images. One of the classics being digitized. Panel discussion "Museums and Social Justice: What role can we play?" The event opened with a video of Dr. David Fleming of the National Museums of Liverpool imploring museums not to be dispassionate. There often is this idea that these institutions should be purely educational, and as such, they should be as unbiased and clinical in their approach to their subject as possible. This isn’t a particularly welcoming, compelling, or relevant strategy, though. Christine Bespalec-Davis, the education director at the National Veterans Art Museum, addressed this issue by explaining how their staff encourage visitors to talk through their emotions. They work to promote dialogue for topics that are difficult to discuss, like violence and trauma, rather than simply “stating the facts.” Kelley H. Szany, director of education at the Illinois Holocaust Museum and Education Center spoke to the power of a story in its ability to form connections with visitors, and the idea of this connection moving visitors to act. Far from encouraging passive observation, they promote activism. I hope that over time, the field as a whole can embrace the idea that museums can be educational while still taking a stance on important issues. I would argue that in some cases failing to address controversy or conflict can intrinsically be viewed as taking a stance. With education comes responsibility, and museums need to learn to accept this responsibility and use it for the greater good. Deb discussing the challenge and dishonesty of labeling and claiming ownership to Martin Ramirez as a Mexican American outsider artist. This spring, I pursued and completed a certificate program in Museum Studies at the School of Professional Studies at Northwestern. I learned so much during the quarter and walked away with some wonderful resources and connections. What struck me the most in our discussions in class is this shift in museums as a whole - away from strictly serving the role of a repository and towards a space of facilitation and connection. 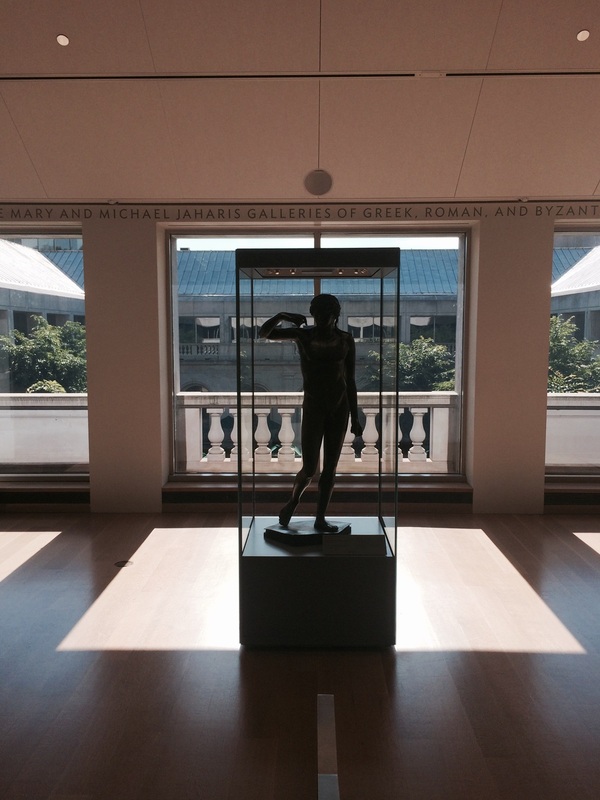 Simply put, museums are trying to be less about stuff and more about people. Part of my interest in and motivation to work in cultural heritage institutions has been the stuff. I feel that there is so much we can learn from unique objects and materials. That being said, I understand and agree with the movement to make these institutions less static, more welcoming, and more relevant to the audiences they are supposed to serve. It’s an exciting time to be a part of the field, and I hope museums, libraries, archives, and galleries can adapt and embrace change. 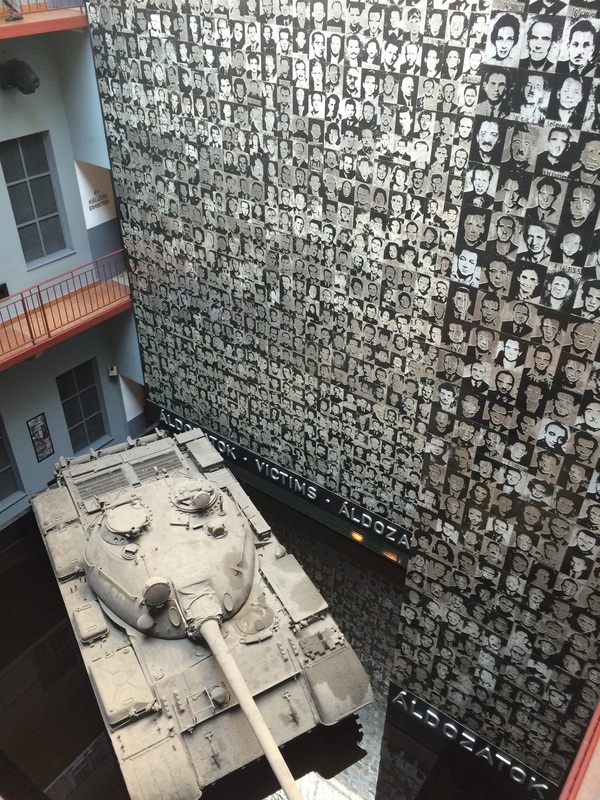 I recently had the opportunity to visit the House of Terror in Budapest. This institution is dedicated to telling the story of Hungary under fascist and communist regimes in the 20th century. Wandering through the exhibition spaces, visitors are immersed in environments - not reproductions of historical spaces per se, but rather rooms meant to illicit emotion. There are objects and artifacts on display, but these are not the focus; interpretive text accompanying objects is minimal, instead there are paper handouts in nearly every room which provide background information to the topics covered. Multimedia elements, interviews and music in particular, are used frequently. The hardships faced under the regime were personalized by individual accounts, and it was clear that the intent with this was to generate a connection between history and visitors. While the subject of the museum may not be a welcoming one, the contemporary exhibition approach facilitates a relationship between those who lived under the regimes and those visiting the museum today. There are aspects to the exhibition I might approach differently, but I did find it to be an interesting example of this user-centered experience we discussed in our classes. The imposing exterior gives a good indication of the challenging subjects addressed inside. Room dealing with justice under the regimes. Room dealing with "normalcy" in popular media under the regimes. 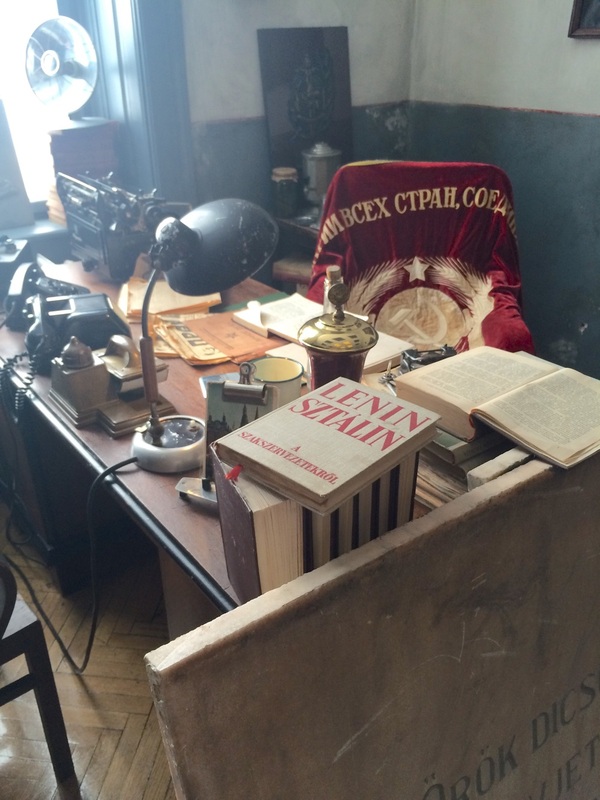 Re-created office of a communist party official. 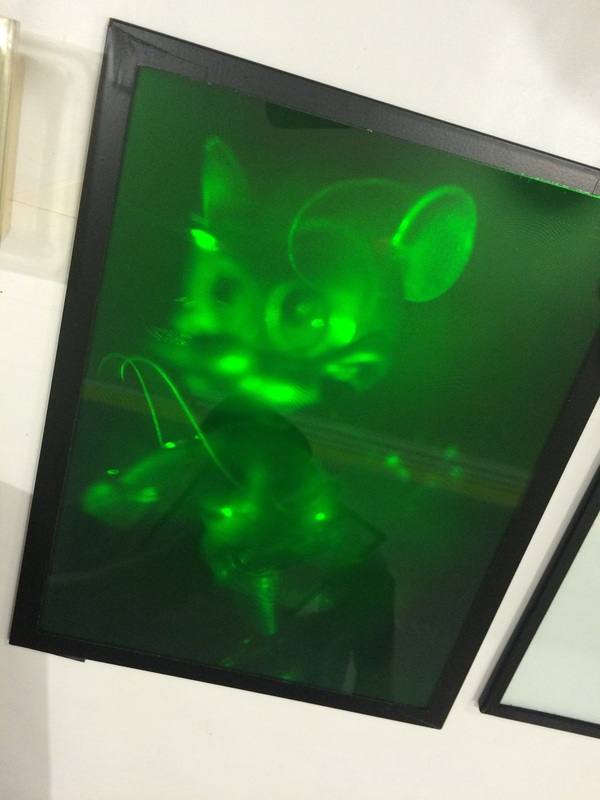 A few months after I moved to Chicago, I attempted to visit the Museum of Holography with a friend who was in town. Unfortunately, we discovered that the museum was closed indefinitely. The collections have been locked away for years at this point, but that’s beginning to change. An anonymous benefactor has assured that the collection will remain intact, and volunteer efforts are underway to sort, clean, accession, and catalogue the materials in the former museum. I attended a object handling and cleaning training session in the old space this weekend and spent some time after helping to clean holograms for the upcoming temporary display at SoHo House. It was so heartening to see people coming together to lend their time and expertise to benefit this amazing collection, and it was fantastic being able to view and handle some truly unique objects. There’s so much to the story of this museum and its holdings, and I hope that it can develop into a permanent museum again someday soon. The exhibition featuring highlights from the Museum of Holography is on display July 28th from 7pm - 10pm at SoHo House. There are so many treasures in this collection! Reviewing some preservation issues: glass plates that are fused together.